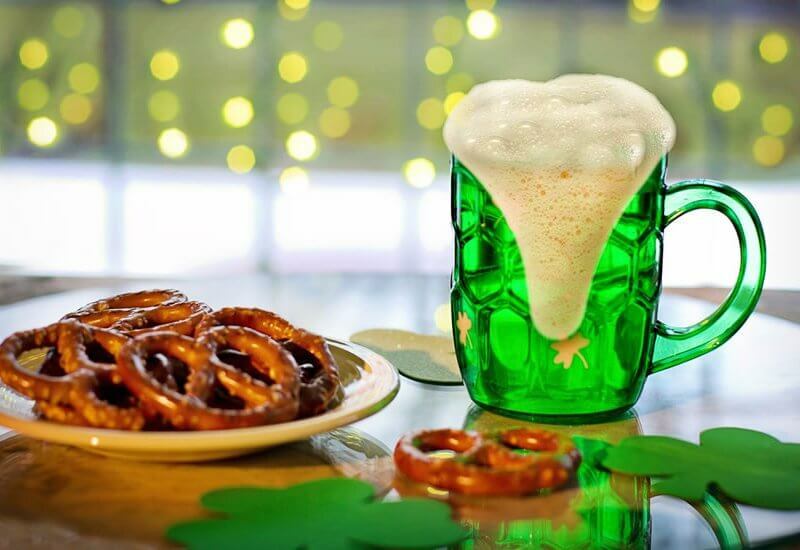 St. Patrick’s Day has been an important date in the Irish calendar since the early 17th century. These days, people around the globe gather together in March to celebrate the saint’s day and Irish culture. New York City puts on a massive parade while you’ll see the river go a bright green in Chicago. But if you thought that St. Patrick’s Day celebrations was just leprechauns and shamrocks, think again. There are plenty of places across the world that have put their own unique slant onto the day. Hot Springs in Arkansas is home to the so-called ‘shortest street in the world.’ Its 98-feet-long Bridge Street hosts the world’s shortest St. Patrick’s Day parade every year. As if that wasn’t enough, participants go out of their way to make it one of the most unusual. If you get to watch the parade, you’ll spot the San Diego Chicken and a number of Irish Elvis impersonators as well as the Lards of the Dance, a middle-aged Irish dancing troupe. Previous attractions have also included the world’s shortest wedding ceremony, a competition to find the most original kiss for a substitute Blarney stone and Dr. Albert Habeeb, the self-proclaimed world’s oldest leprechaun. If you’re looking for unusual characters, you’re sure to find them in Hot Springs. Montserrat is the only country in the world – apart from Ireland – that officially recognises St. Patrick’s Day as a national holiday. The date is particularly significant in Montserrat because on 17 March, 1768, there was a major slave uprising. Although it was ultimately not successful, Montserrat officially abolished slavery in 1834. As part of the celebrations, people participate in a Freedom Run to commemorate the emancipation of slaves and indentured servants. Montserrat considers itself to have an equal Irish and African heritage, which is reflected in the steel drum bands and Creole breakfasts that are all part of traditional St. Patrick’s Day festivities on the island. O’Neill is the site of the intersection between Route 281 and Highway 20. It’s also where you’ll find the world’s biggest shamrock painted in the middle of the junction as a nod to the fact that O’Neill is the ‘Irish capital’ of Nebraska. The town is named after a famous local Irishman, who strongly campaigned to attract immigrants to the area. O’Neill puts on a big event every year, including a bizarre mix of entertainments, including a hypnotist, fish fry and a special reading of “Green Eggs and Ham” by Dr. Seuss. The fun doesn’t stop there though. On the 17th of every following month, residents wear green in honor of their Irish background. With over 50,000 Irish-born people living in Australia, it’s no wonder that St. Patrick’s Day is a big deal there. One of the many special events in the country is held in Brisbane – the Queensland Irish Association parade. It depicts the history of Ireland’s involvement in building the Australian nation. Marchers dress up in historical costume to represent teachers, miners, widows and orphans, lawyers, sugar cane cutters and stockmen, all important to Australian heritage. Although New London was originally established by German migrants, a large influx of Irish people in the 19th century gave the town a distinct Irish feel. St. Patrick’s Day kicks off in New London when locals dressed in leprechaun costumes change all the local highway signs to read “New Dublin” – with local council approval of course! Restaurant menus are taken over by corned beef and cabbage, while Irish carolers and leprechauns entertain at senior citizens’ homes, schools and hospitals. The town’s population swells to 30,000 for the parade, which features ‘Finnegan’s Wake’ – a green hearse is driven through the streets – as well as bagpipe players and the high school band, all following a trail of shamrocks painted on the pavements. This all culminates in an Irish Fest, where famous Celtic bands put on a show inside a large, heated tent. Some of the Welsh believe that St. Patrick wasn’t Irish but in fact came from Banwen in Wales. Members of the local history club say that St. Patrick was originally known as Maewyn Succat and was kidnapped by pirates as a teenager before being sold as a slave in Ireland. On St. Patrick’s Day, the Banwen & District History Club join forces with Welsh pipers to parade down Roman Road in Banwen towards a stone that commemorates St. Patrick’s alleged birthplace. The Irish Network of Japan is dedicated to hosting events across Japan to build a cultural exchange between Ireland and Japan. As part of their programme, marchers get together at the Ise Shrine for a St. Patrick’s Day parade. The Irish and Japanese flags are both proudly on display as locals, including the mayor as well as the Irish ambassador, perform Irish dances, play bagpipes and dress up as leprechauns. After the parade is over, everyone prepares shellfish at an oyster festival.